On Sunday, Lt Col Sumeet Baxi meets the girl whom he saved 25 years ago in Latur earthquake on October 6, 1993. She was rescued from rubble and debris when she was 18-month-old, covered in dust, unconscious and alive. He is meeting the survivor Priya Jawalge, who is now a school teacher, at an event to mark the 25th anniversary of the Latur quake. “There was debris everywhere and the stench of decaying bodies and carcasses. We did not have any hope of finding anyone alive. A couple in their thirties arrived at the camp requesting us to search for the body of their baby girl trapped under the debris of their home. We went to the site and started digging at one end. We removed enough rubble to make room to slide in,” said Baxi, who was then second lieutenant. He was left shocked and delighted when he found out that the baby was alive. Baxi, who was awarded the Chief of Army Staff Commendation Card for his deed, further said “I went in further and after clearing the rocks, I touched a small human figure. I informed my team that the baby was alive. By then, the news had spread like wildfire. Within minutes, hundreds of villagers stood on the debris. The loose soil caused a landslide. After a few minutes, the baby and I were brought out safely”. For more than two decades, Baxi had been looking for the girl. 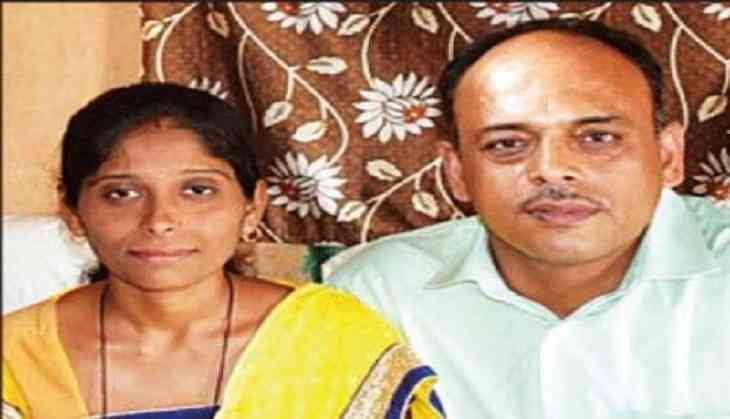 During a conversation with havildar Dayanand Jadhav of Mangrul village at the Ex-Servicemen Contributory Health Scheme Centre in Pune in 2016 led him to her. He along with his family visited her village to meet her last August.